The arrangement of events may change to match natural conditions, weather, roads, etc. Panorama Pabangbon in Leuwiliang is a popular tourist attraction in Bogor, West Java. Suitable for those of you who want to do a day trip from Jakarta. 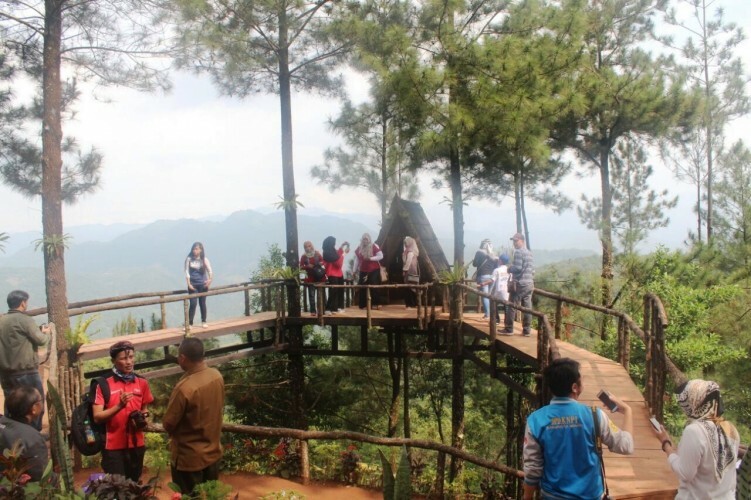 It offers natural scenery of Bogor and popular with visitors who like to take selfie or photo. The location is about 1.5 hours from Bogor or about 2.5 hours from Jakarta. 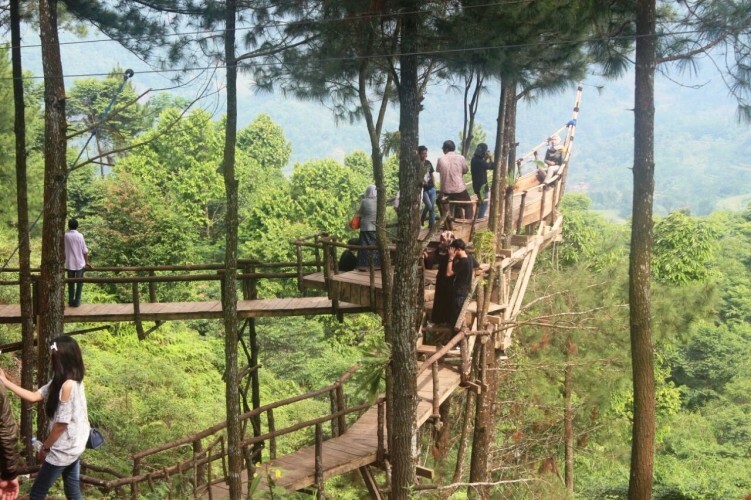 There is a Pine Tree House with a background view of Halimun Mountain, and then a boat with green natural view, also flying fox for those who like to do outbound activity. After that you can also visit a small waterfall which is Curug Cilame which is located about 10 minutes from Panorama Pabangbon. "Beautiful scenery for photoshoot, that's it."